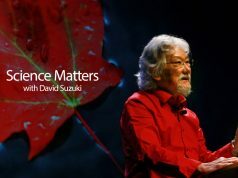 SEISMIC Impact at SilverStar - Gonzo Okanagan Online News, Music, Technology, Sports, Film, Arts & Entertainment, Culture, Wine & Dine... Life! 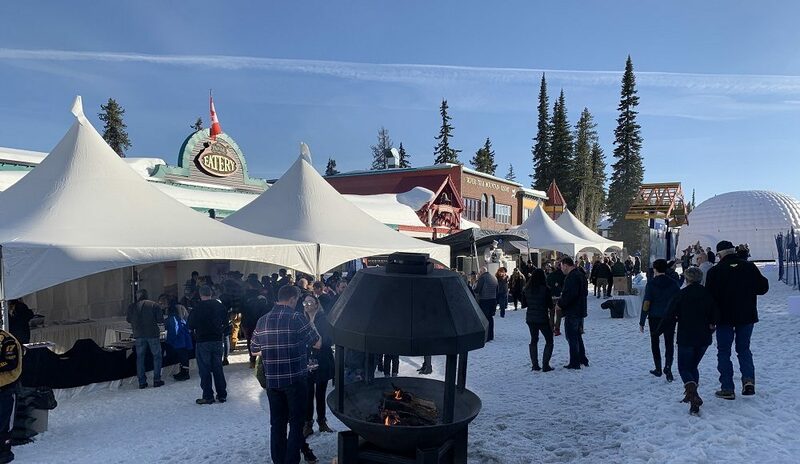 SilverStar Mountain Resort’s new SEISMIC Mountain Festival, held over Spring break attracted thousands of participants and was an exciting addition to the resort’s array of offerings, said Ange Chew, Tourism Manager, Tourism Vernon. Silver Grill. Photo credit: Roslyne Buchanan. Held March 22 to 31, SEISMIC offered over $50,000 in cash and prizes to athletes participating in various skiing, boarding and biking competitions; and featured culinary and tasting events; music concerts and live entertainment; fundraising for community groups; cultural and art exhibits. 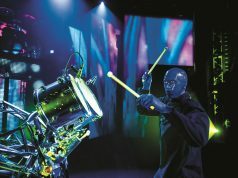 Winterland featured DJs and live entertainment like flame throwers. Photo credit: Roslyne Buchanan. 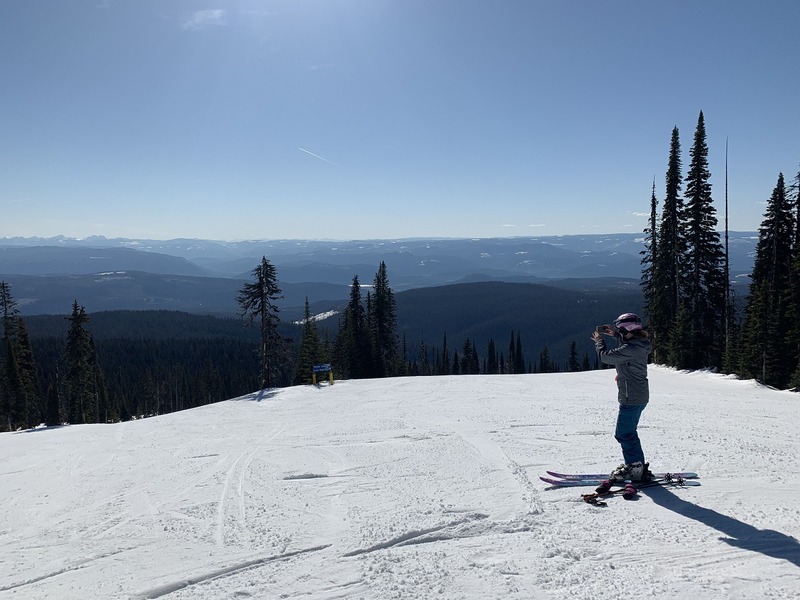 Thanks to SilverStar and Tourism Vernon, I hit the slopes and checked out SEISMIC’s final weekend. Staying slope side at Snowbird Lodge, a snowball’s throw from festivities was optimum. This first-class, ski-in/ski-out lodge checked all the boxes with amenities such as a family lounge, children’s playroom, 24-seat theatre and gymnasium. Our well-appointed suite had a private hot tub. 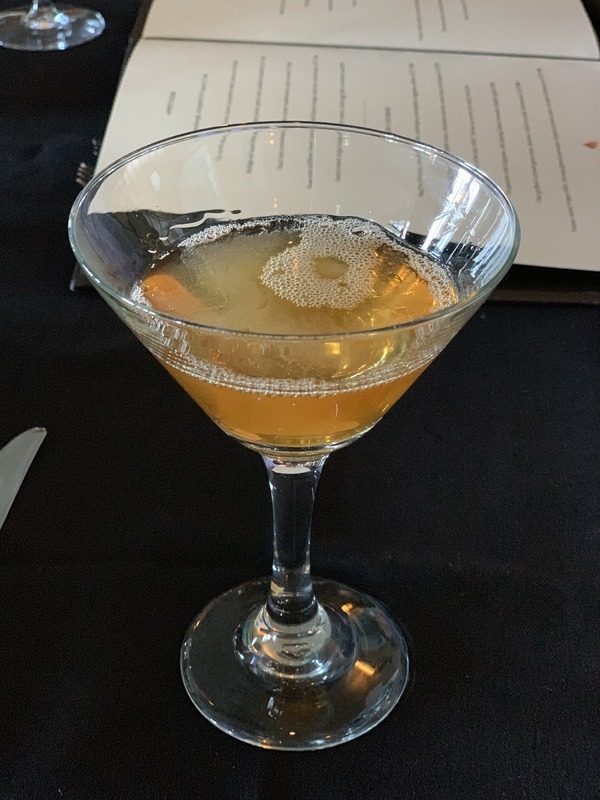 Spiced Manhattan cocktail at Silver Grill. Photo credit: Roslyne Buchanan. 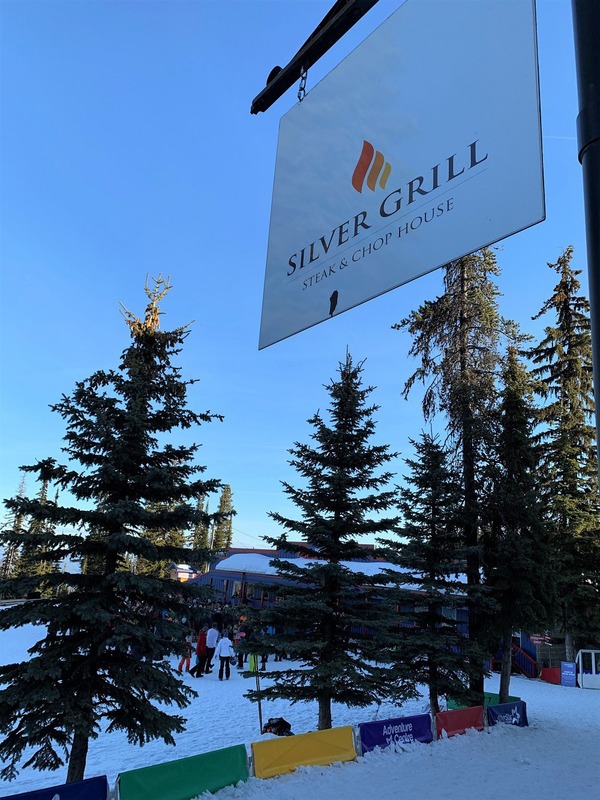 Dinner at Silver Grill delivered its promise “to create an elevated dining experience”. In the 40-seat restaurant back of Town Hall, the culinary team showcases Okanagan Valley’s artisan food and beverage purveyors. I started with a delicious Spiced Manhattan highlighting Okanagan Spirits’ Rye Whiskey. Our group of eight shared a selection of the well-crafted appetizers – the House made wild honey ricotta and the Heritage salt baked beets, my favourites. To lighten our burden of choice, a colleague and I shared main dishes. Mine was the Market fish of the day – a Smoked Steelhead pasta with shaved zucchini. Her choice was Pasture raised Angus fillet, harissa glazed parsnips, braised carvalo nero with smoked chimichurri. From the great BC wine list, I selected Corcelettes Estate Winery Pinot Noir, which bridged between the two mains beautifully. 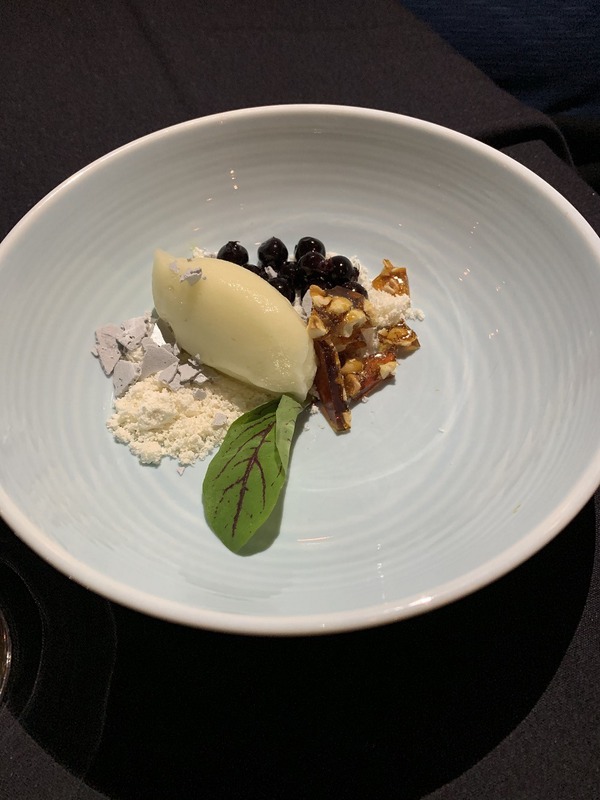 For dessert, the table shared again with my personal favourite, Granny Smith sorbet, macerated Saskatoon berries, hazelnut praline and citrus infused oil. Granny Smith sorbet, Saskatoon berries, hazelnut praline and citrus infused oil at Silver Grill. Photo credit: Roslyne Buchanan. That same evening, the sold-out guest chef Wine Dinner By David Hawksworth had overflow tables in that same dining room. It featured Chef Hawksworth and Chef Stephanie Noel of Hawksworth Restaurant Group, Vancouver, and wines of Meyer Family Vineyards, Okanagan Falls. 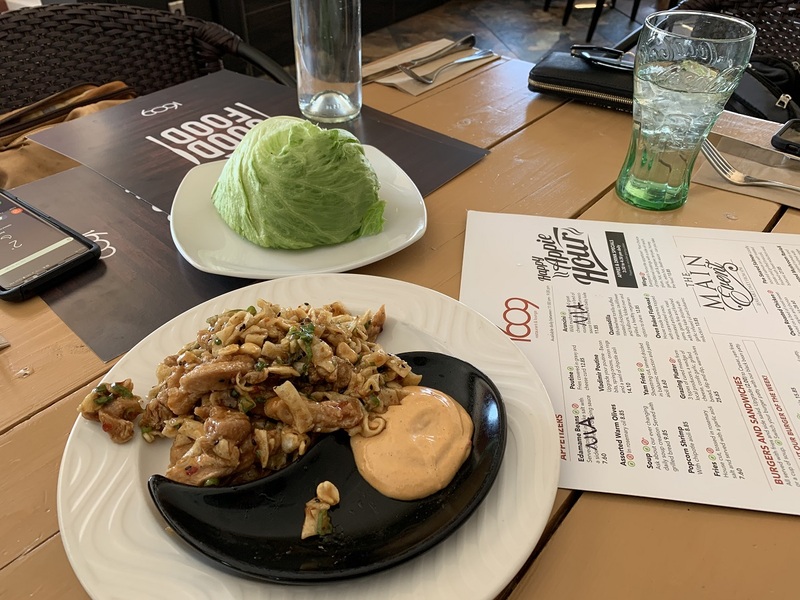 Lunch of Spicy Chicken Lettuce Wraps at 1609, one of SilverStar’s newest venues. Photo credit: Roslyne Buchanan. Quick break from skiing at SilverStar to capture the view. Photo credit: Roslyne Buchanan. To explore those options, after breakfast at Coffee+ in Town Hall with Chimuk, we hit the slopes for spring skiing. Bathed in sunshine, the hardpack of first runs quickly transformed into buttery, spring trails. We were reluctant to hesitate for the magnificent views or lunch. Yet 1609 Restaurant & Lounge, one of the newest venues, wowed us with its bright and contemporary flare. Bold flavours in the Spicy Chicken Lettuce Wraps, Mile High Salad and Popcorn Shrimp with Chipotle Aioli fortified us scrumptiously for our next outdoor adventures. Tube Town Adventure Park at SilverStar. Photo credit: Roslyne Buchanan. Some of us headed to Tube Town Adventure Park, while others returned to the slopes. The full day My1Pass lift ticket made it a breeze to grab the supplied truck-sized inner tubes with safety handles and ride up the tube lift for our next thrill. All too soon, it was time to clean up and head over to Winterland where two giant inflatable igloos transformed the village. Winterland was a unique tasting event featuring appetizers by Social Lounge Grill and tastes of diverse BC wine, craft beer, cider and spirits. On site were bonfires, and DJs with live entertainment like flame throwers to delight the hundreds of people in attendance. 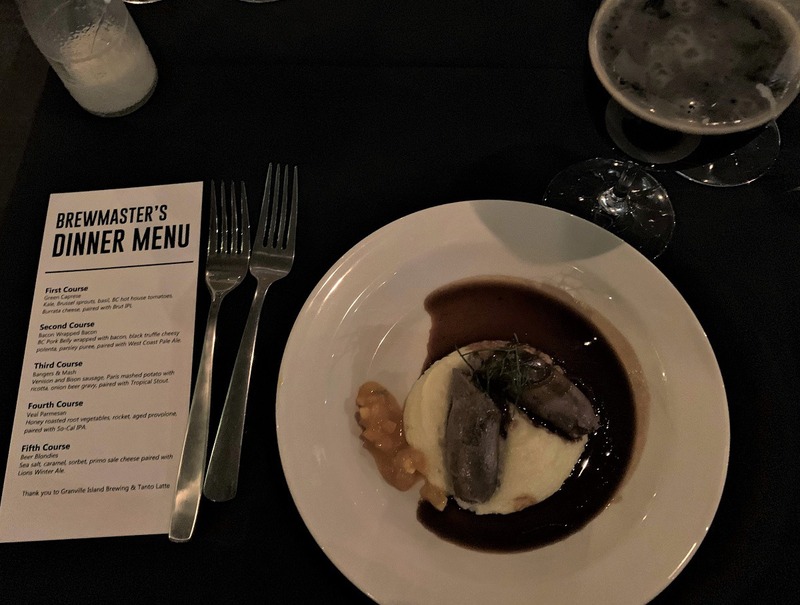 Brewmaster’s Dinner – Granville Island Brewery Tropical Stout with Bangers Mash. Photo credit: Roslyne Buchanan. Our agenda included SEISMIC’s Brewmaster’s Dinner at The Den Bar & Bistro featuring Granville Island Brewery and Tanto Latte. Thank heavens fresh mountain air stimulates appetites because it was a five-course plated meal with craft beer pairings. 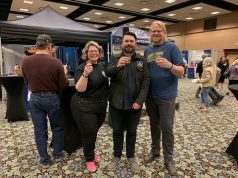 Each pairing was thoughtfully matched to capture the beer’s profile and the dishes were highly creative going well beyond standard pub grub like pretzels, burgers and fish-and-chips. Brut IPL with Green Caprese (Kale, Brussel sprouts, basil, BC hot house tomatoes, Burrata cheese); West Coast Pale with Bacon Wrapped Bacon (BC Pork Belly wrapped with bacon, black truffle cheesy polenta, parsley puree); Tropical Stout with Bangers & Mash (Venison and Bison sausage, Paris mashed potato with ricotta, onion beer gravy) – my vote in terms of best pairing; So-Cal IPA with Veal Parmesan (Honey roasted root vegetables, rocket, aged provolone); Lions Winter Ale with Beer Blondies (Sea salt, caramel, sorbet, primo sale cheese). 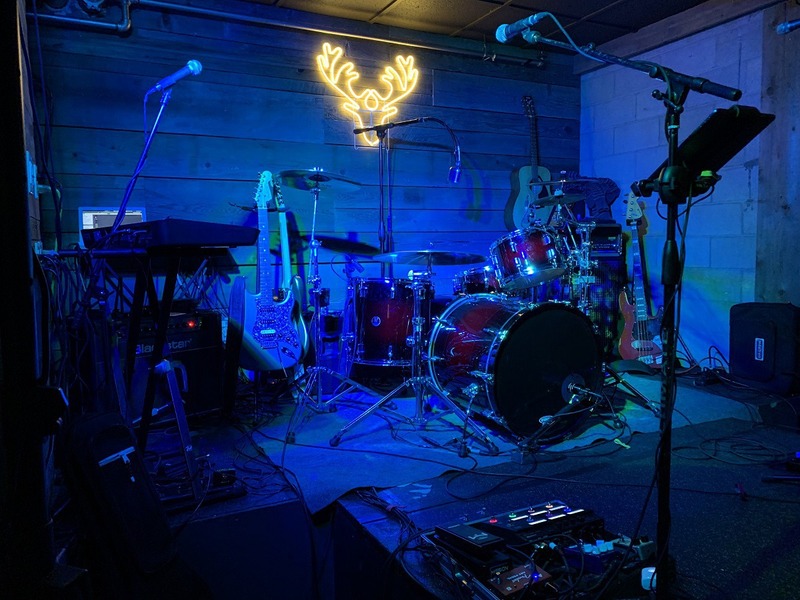 The Young’Uns set up at Red Antler for Molson After Dark Music Series. Photo credit: Roslyne Buchanan. The personal hot tub proved a great resource to ease tired muscles and unwind from the big energy of SEISMIC. A good night’s sleep, another great breakfast at Town Hall, there was time for recreation and shopping the village sports specialty stores before heading into Vernon to the Sandman Hotel & Suites. 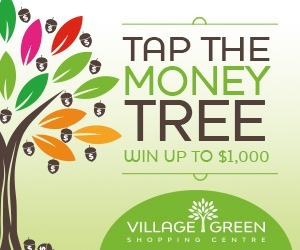 Centrally located and beautifully renovated inside, it offers a perfect vantage to explore Vernon’s four-season playground. 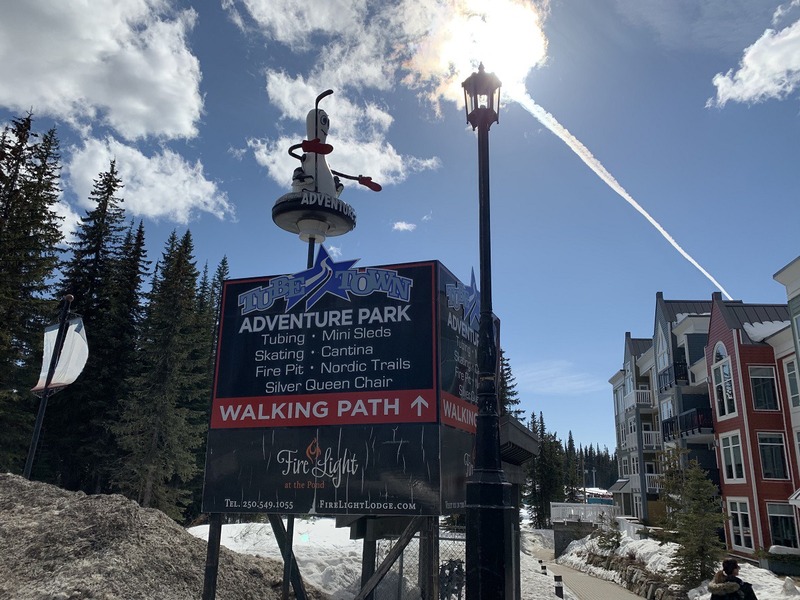 Celebrating its winter season and successful SEISMIC Festival, SilverStar is on a break to refresh for summer’s opening on June 21. See www.skisilverstar.com for activities and what’s open throughout the seasons. 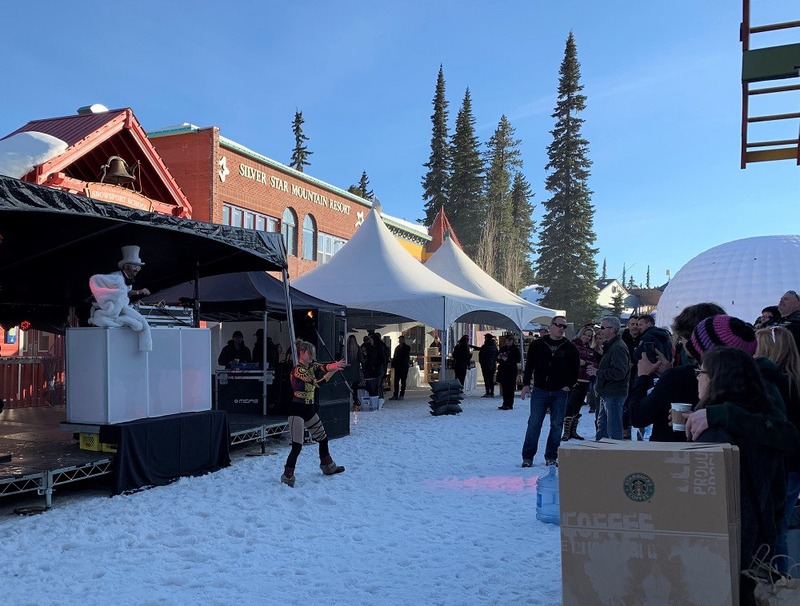 Featured photo: Crowd-pleasing activities in Winterland at SilverStar SEISMIC Fest. Photo credit: Roslyne Buchanan.